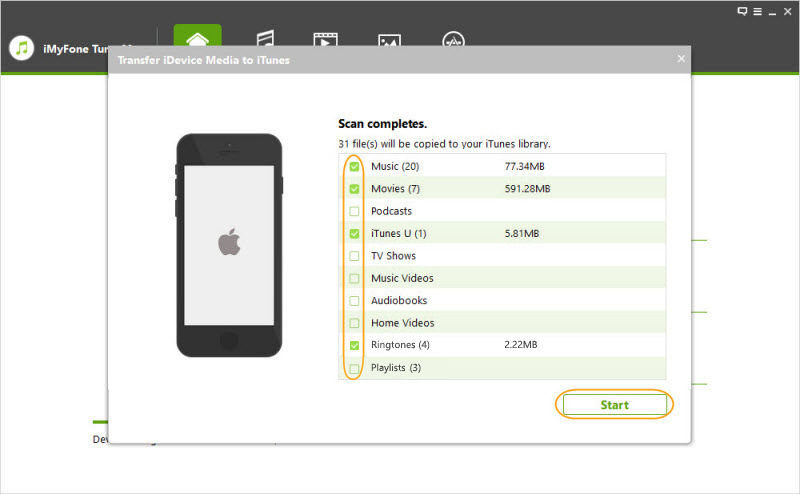 iTunes is annoying, want to have an easier iPhone file manager for PC? If yes, you have just landed on the right page. Exactly, there are times when you look to send your files from PC to iOS and it really becomes irritating when the whole process seems like a headache. Means, a lot of sync issues, file deletions, file lost etc. However, we have got the perfect solution for you. With iMyFone TunesMate you can perform both PC to iOS file transfer and iOS to PC transfer super easily. Let's learn more about TunesMate. While you may face a lot of complications with the normal/common methods available to transfer files, TunesMate makes it all easy for you. Produced by the renowned family of iMyFone TunesMate is the best third party alternative specially designed for iOS users with Mac and Windows. Think about data transfer, sync, and custom ringtones or even backup, everything is possible with TunesMate. Thanks to its two-way transfer functionality that always amazes iOS users worldwide and makes it a mandate iOS app. 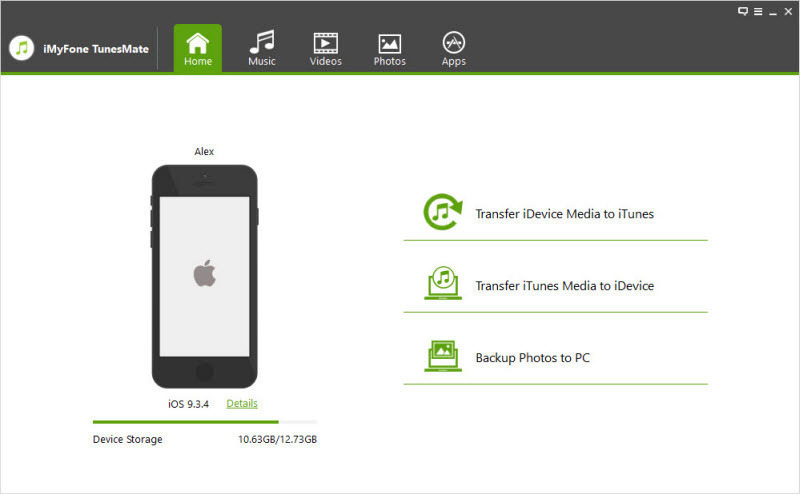 Two-Way Transfer: Lets you transfer/sync data in both the cases, from your iPod/iPad/iPhone to PC or vice versa. No Limits for Devices and Pcs: Share your iPhone media and iTunes library freely with your family and friends even if they use a different Apple ID. Preview and Selectively Transfer: Preview whatever you want to share to maintain privacy and avoiding mistake-transfers. 1 Click Transfer Media Files: No more complications and time wastage now, transfer all your favorite files just in a click and enjoy the ease. Bypass iTunes Limitations: Break the limits that Apple imposes on its application and enter the all-new range of opportunities with TunesMate. If you are looking for iPhone to computer transfer for your favorite files, TunesMate is the solution you have waited for years. You need not be a tech geek to use it, just 1-2 minutes and you can use it like a pro! Launch TunesMate in your PC, and then connect your iPhone to your computer. 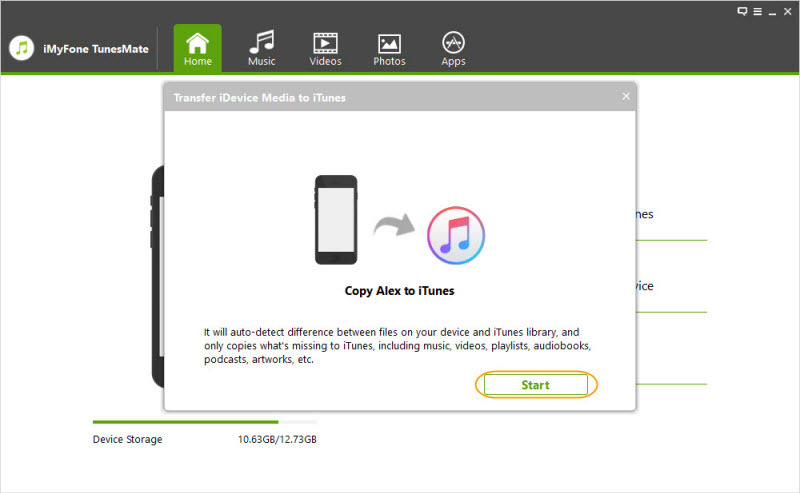 Out of the three options - Transfer iDevice Media to iTunes, Transfer iTunes Media to iDevice or Back up Photos to PC, click Transfer iDevice Media to iTunes. Scan your iPhone/iPad/iPod by clicking the Start in the pop-up window. All files will be checked by default, if you do not want to select any of the files, proceed to uncheck it. Click Start and wait for the iOS file transfer to complete. And it's done! How to Transfer Files from iPhone to PC with iTunes? Connect your iPhone with PC and open iTunes. Make sure you have the latest version. 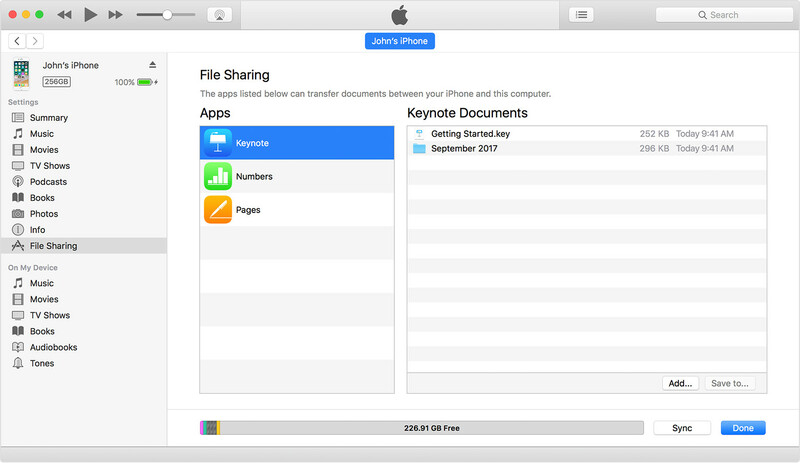 Click on the device icon and on the left side of iTunes, click on “File Sharing” to choose the content you want to sync. Click on “Save to” and choose the files to transfer from iPhone to PC. Not all file types can be transferred successfully. You may face difficulties like files not synced properly, missing files etc. How to Transfer Files from iPhone to PC with iCloud Drive? Go to icloud.com, then you need to log in your iCloud account. 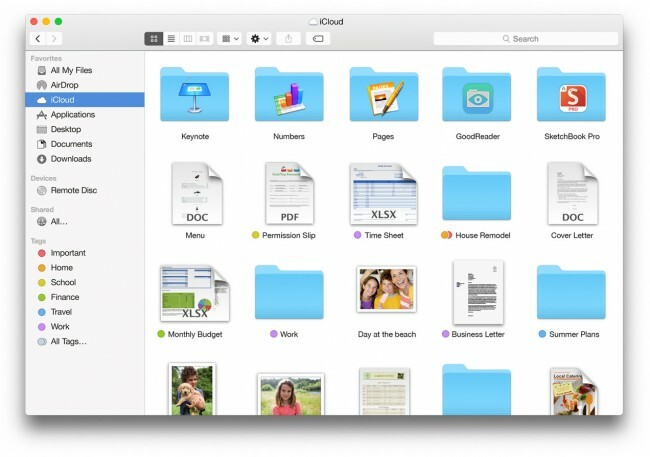 Click on “iCloud Drive”, and select the folder that you have put your files in. Select the file you need to transfer to your PC and click “"Download", the process will be finished soon. You may have issues in saving large files and of course, 5GB of free space will not serve your purpose for long. Additionally, you can't back up until you have a stable internet connection. Out of the many alternatives available for iOS file transfer, where each carries its limitations and complexities to use, iMyFone TunesMate effectively provides a level of ease to its user. It works super-easily and is recommended for iOS users around the world. So, what as per you is the best iPhone file manager for PC? Well, use TunesMate and let your experience answer this question freely. Download TunesMate for free and have a try now!